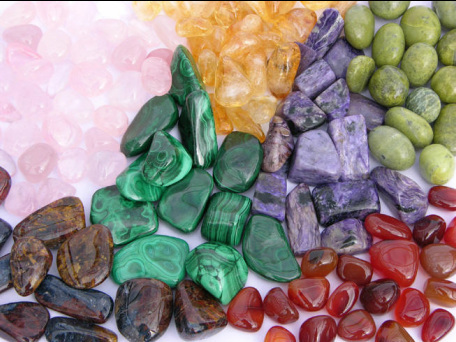 Crystals and gemstones have a long tradition of being used for healing. 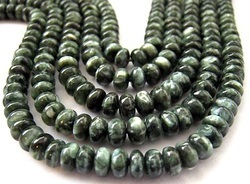 In ancient cultures people knew the healing energy of crystals and gemstones. Crystal therapy is known to the mankind for more than five thousand years. The oldest writings came from China and India, where the traditional medicine uses the crystals to this day. Not much has changed in selfhealing with crystals, condition for a successful crystal therapy is deep maditating state of mind. Crystals that are not friable or jointed can be held under running water or immersed in the sea or in the salt water. As you do so, hold the intention that all negativity will be washed away and the crystal reenergized. Placing the crystal in the light of the sun or moon for a few hours can also recharge its batteries. Friable crystals or clusters can be left in sea or rock salt overnight. Gently brush every speck of salt off afterward as they can damage the crystal. Certain crystals have the ability to cleanse other crystals. Keep a Carnelian in a bag of tumbled stones and you will never need to cleanse them using any other method. A small crystal can be placed on a clear quartz cluster and left overnight. Crystals also need to be dedicated to the purpose for which you use them. Dedicate a new crystal as soon as you have cleansed it. This focuses the energy. Hold the crystal in your hands and picture light surrounding it. Say out loud: "I dedicate this crystal to the highest good of all. May it be used in light and love". Consider the purpose for which you wish to use it-be specific. When you have formulated your program, attune to the crystal. Ensure that this is exactly the right crystal for the purpose. When you are totally in tune say out loud: "I program this crystal for (your purpose)".